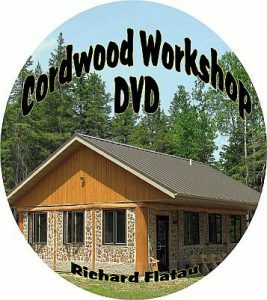 Our dearly departed friend Wayne Higgins (Marlys Bacon) took us around to see some of the outstanding cordwood building that has sprung up from his stellar influence in the Keweenaw Peninsula of the Upper Peninsula of Michigan. Wayne is not only a fine tour guide (his knowledge of the area is phenomenal), but he takes genuine pleasure in all the conversation, meeting & greeting that ensues. 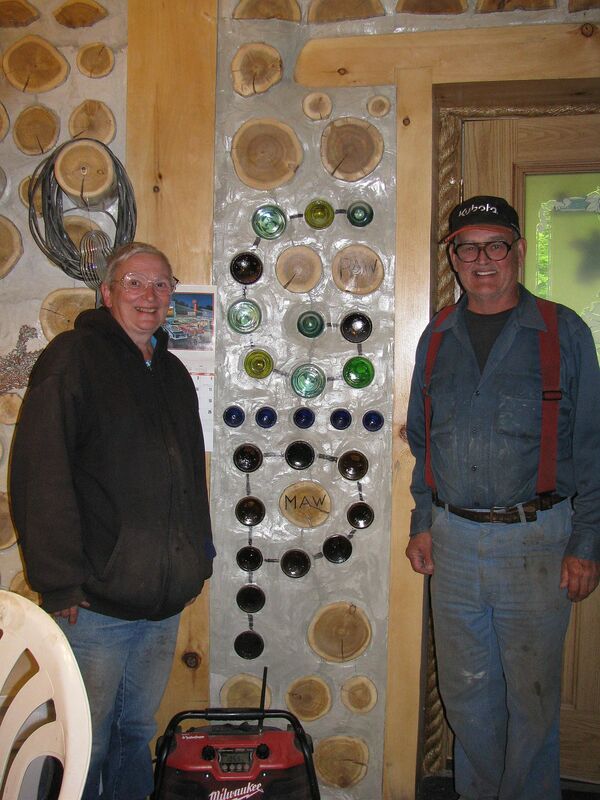 One fascinating place he took us to, was Camp Cordwood built by George & Paulette Beveridge. For me, it was like going to Cordwood DisneyWorld. 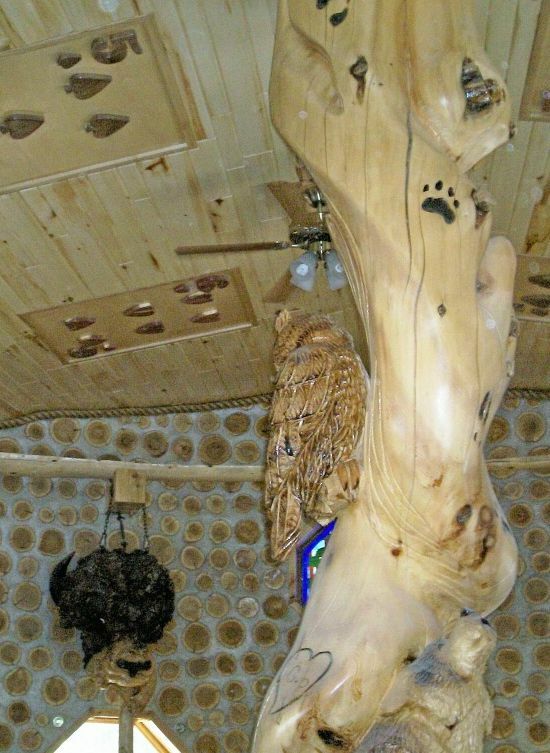 The central pine tree in this home is 30 feet tall and has carved into it a bear, wolves, an eagle, owl and bobcat. 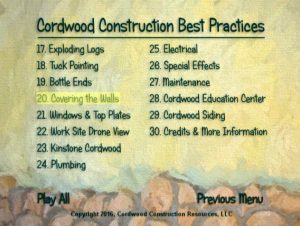 The cordwood infill rises 24′ and there are more interesting features than you can shake a log end at! A few photos of our tour. Here is a bottle end replica of the Upper Peninsula of Michigan! This is the poster child for Christopher Alexander’s book Pattern Language, where he suggests that people place something of their lives in their home. Paulette Beveridge & Wayne Higgins lean against Smokey the Bear. 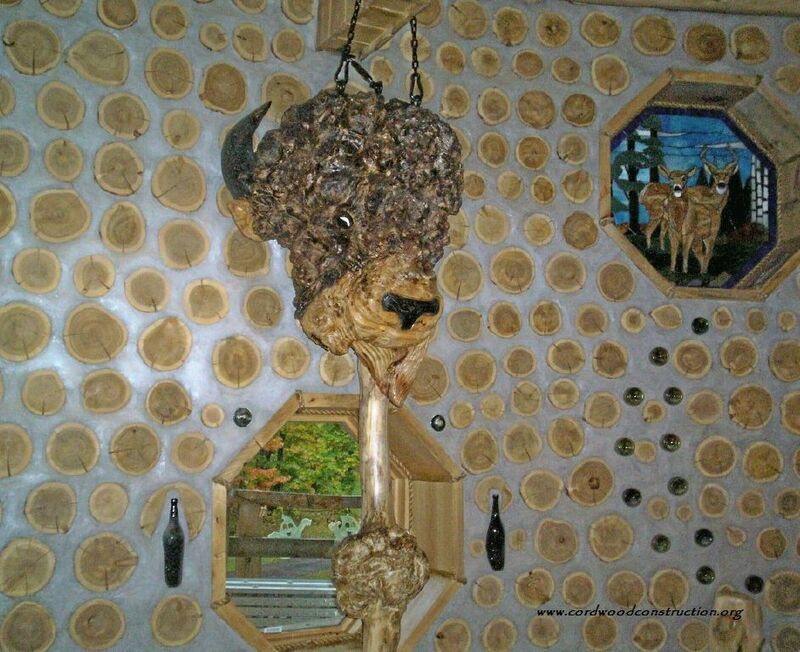 I love the way this cordwood lodge has so many fun and unique wood artifacts. The playing cards on the ceiling are a fine example of Yooper whimsy. I love these people, their fine wood craftsmanship and their most wonderful spirit. They are the most joyous folks I have ever met. A big thanks (again) to Wayne Higgins for introducing us and taking us for a visit! They were so gracious to open up their home to us. Their energy is contagious. The burls on the post are outstanding. Paulette and George at the downstairs entrance. 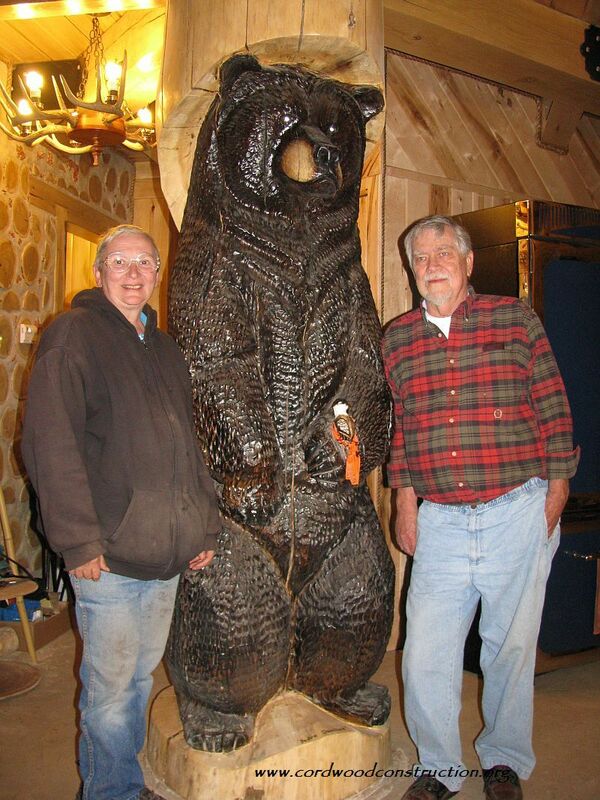 Note the words Maw and Paw on the log ends. These are salt of the earth type folks. You come away feeling better for having known them. Here is a close up of the buffalo head. It is a large burl found in the woods. It was painted and carved to bring out the buffalo. 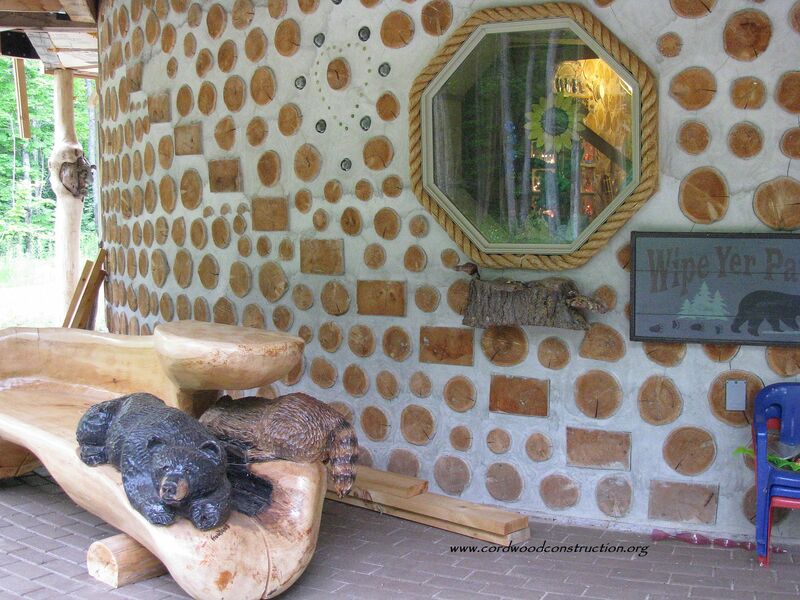 The rectangle blocks of wood that you see on the OUTSIDE cordwood wall (below) are the end of the steps that run on the inside (they run through the cordwood wall. 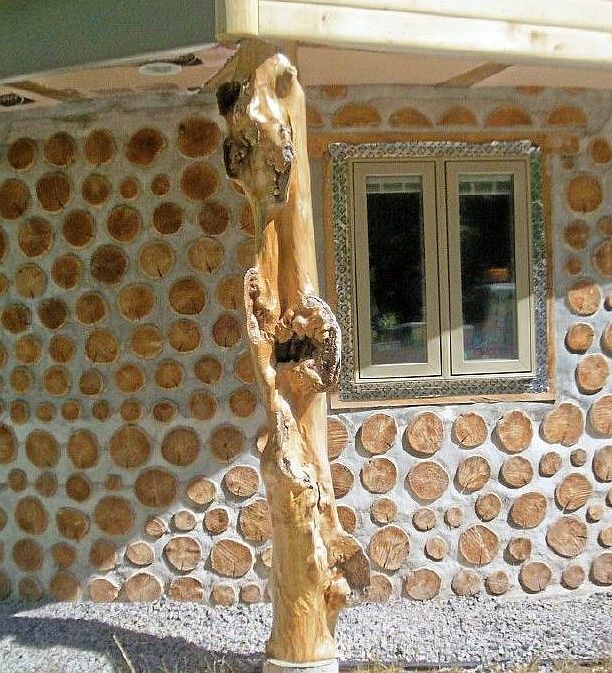 If you are going to put steps in your cordwood walls this is the way to do it. The sign on the right says “WIPE YER PAWS.” Note the rope around the octagon window. 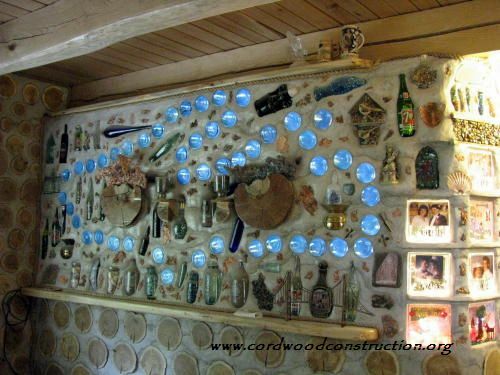 The steps are massive and overbuilt, but this is the only way to ensure that they will never move in the cordwood wall. 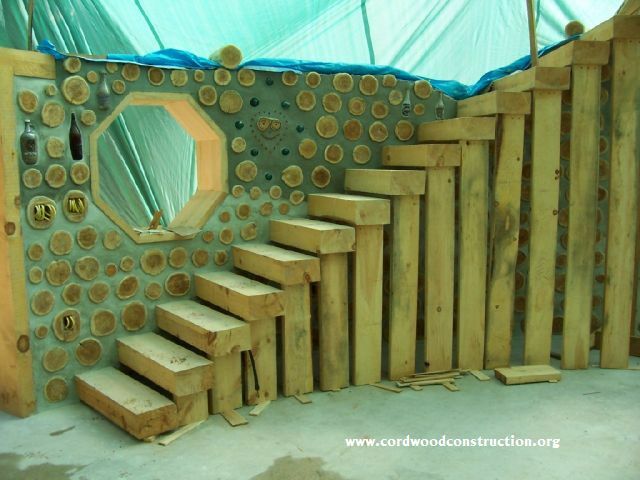 This is the right way to build cordwood stairs into your home. 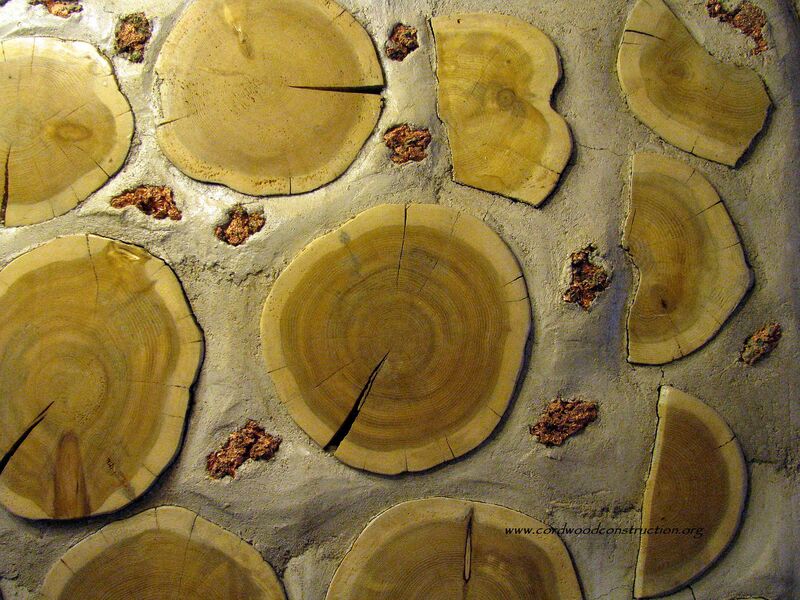 Below are some copper agates that are found all around in Copper Country (the Keweenaw Peninsula) of the UP of Michigan. 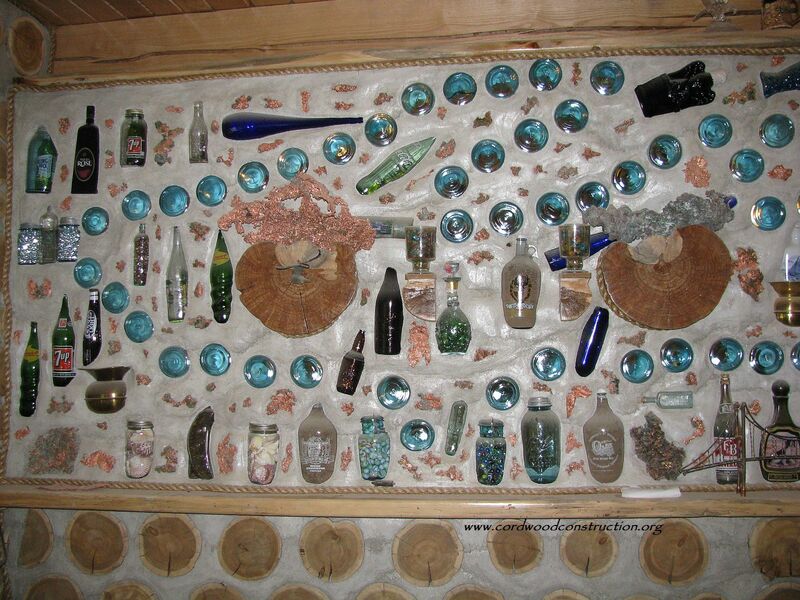 This is a close look at the interior cordwood/bottle/copper/memento wall. 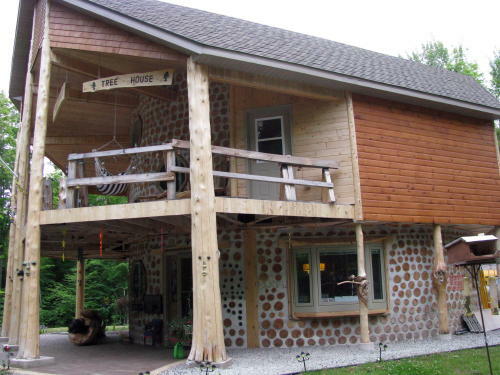 On the one side of the second-floor deck, the sign says Camp Cordwood. On this side, it says Tree House. Interested in learning more? 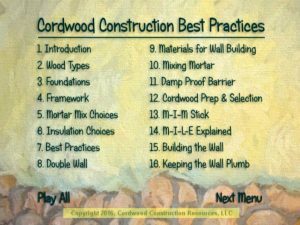 Visit www.cordwoodconstruction.org and click on each of the 9 pictures to learn more about his old fashioned method of building. 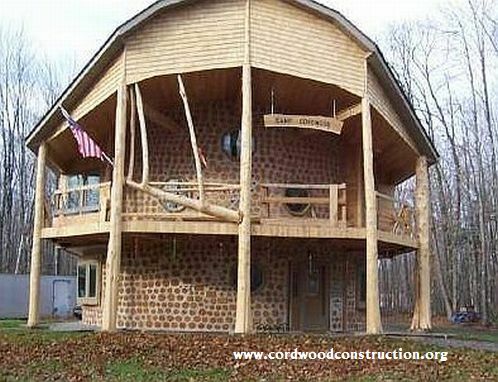 Should you get interested and want to build one that is warm and energy efficient? Want to learn from others mistakes and not have to repeat them? 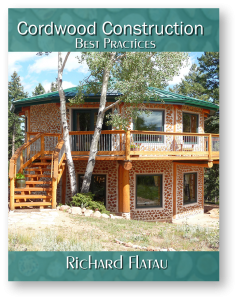 Then you should get a copy of Cordwood Construction Best Practices. Click on the picture below to find out how. 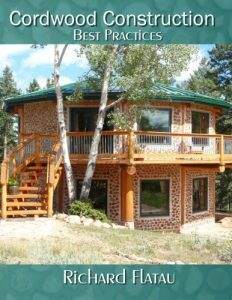 Click on a picture to find out how to order these best practices books and videos.